Since the nineteenth century, the debate around the process of professionalization of higher education has been characterized by two extreme positions. For some critics the process carries the risks of instrumentalizing knowledge and of leading the university to succumb under the demands of the market or the state; for other theorists it represents a concrete opportunity for the university to open up to the real needs of society and for reorienting theoretical and fragmented disciplines towards the resolution of concrete and challenging problems. This article pursues three objectives. Firstly, we show that the debate is usefully informed not only by ideas of what a university is, but also by ideas of a profession (and, by extension, of professional training). We suggest that both ideas help to overcome the conflict between the two afore-mentioned antagonist perspectives. Secondly, we demonstrate that a certain understanding of a profession can prevent the risk of viewing knowledge exclusively as scientific expertise and reducing training to the acquisition of technical skills. The position on professions adopted here is inspired by the Scottish philosopher Alasdair MacIntyre, whose work is instructive in understanding professions as “rational practical activities”, embedded in a social context with their own internal goods. 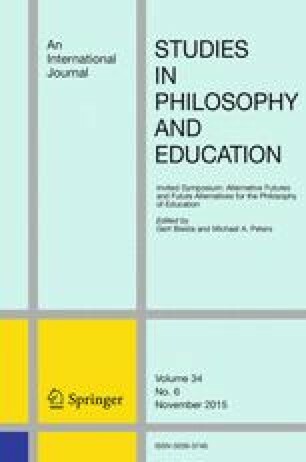 Our third objective, therefore, is to argue, with MacIntyre, that the presence of professions within the university opens up the opportunity to rescue forms of rationality that are oriented towards action and, by implication, promotes spaces of training that are resistant to exclusively corporate or governmental interests and criteria of mere effectiveness. This research is the outcome of a postdoctoral fellowship completed by the first author at the Institute of Education, Community and Society at The University of Edinburgh. This project was sponsored by CONICYT, Formation of Advanced Human Capital Program (Becas Chile). Hoyt-O’Connor, P. (1998). Virtue and the practice of medicine. http://www.bu.edu/wcp/Papers/Bioe/BioeHoyt.htm. Accessed 18 June 2013.